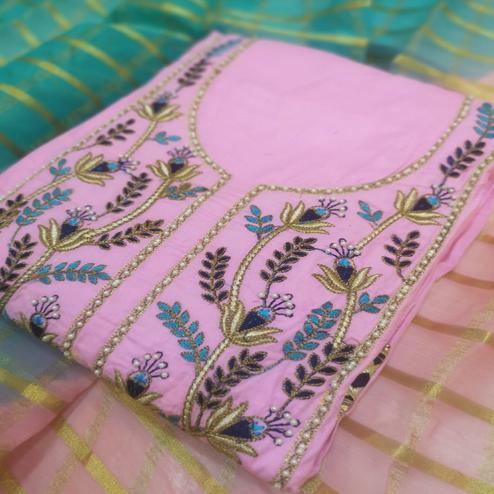 If you are fond of colors, then you should definitely go for this hot pink colored french crepe suit paired with matching colored santoon bottom and printed chiffon dupatta. 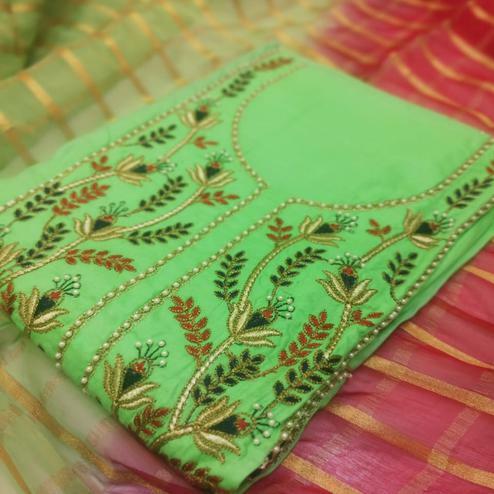 This semi stitched suit has been beautified with traditional embroidery work on yoke, hem and sleeves. 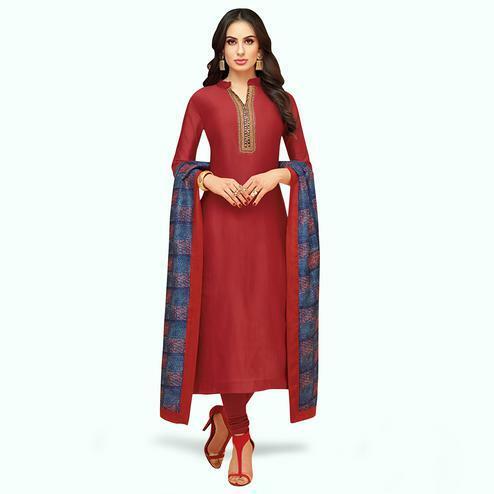 Pair this ethnic suit with jhumki earrings and high heels to make your look more outstanding.